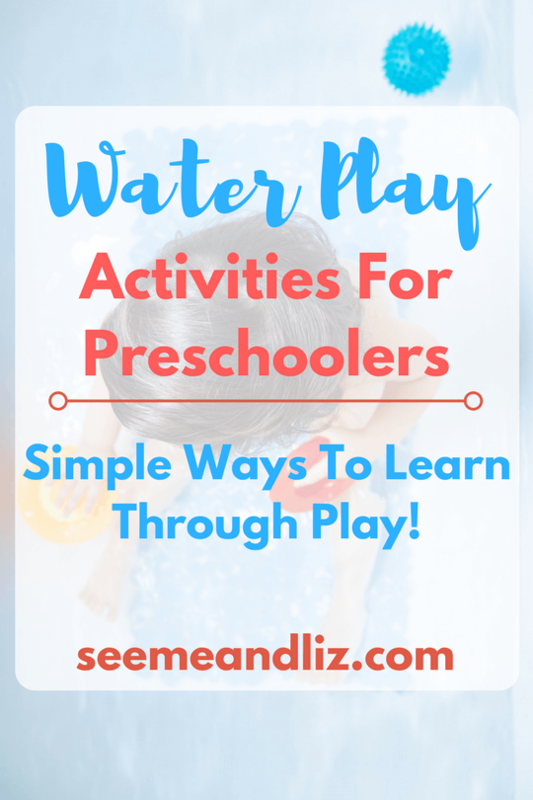 Seeme & Liz > Parenting Tips (0-2 year olds) > The Learning Benefits Of Water Play With Preschoolers! Most children love playing and splashing in water. But did you know that water play with preschoolers is a great way to work on speech and language skills? Water play is more than just making a big mess for mom and dad to clean up. In this article, I will share with you the many benefits playing with water has from a language development perspective! 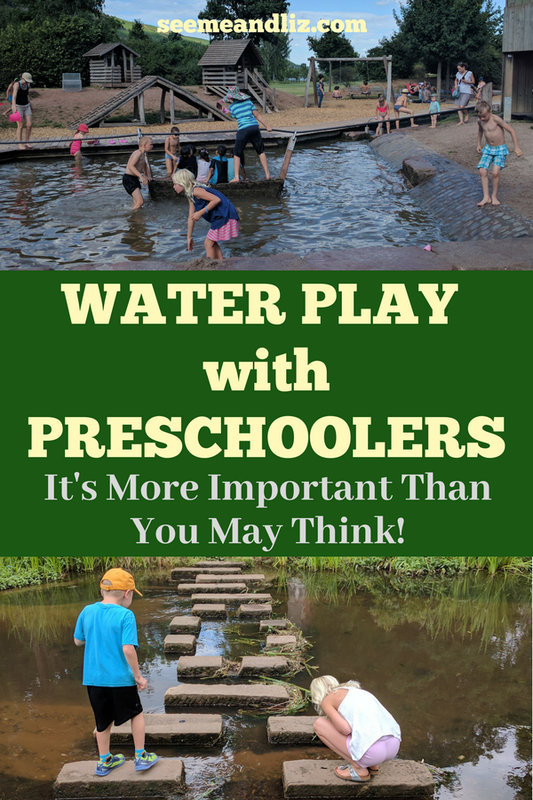 Water Play With Preschoolers Is A Natural Learning Opportunity! Of course the answer is water! You can either purchase a water table (these also work well as sand tables) or make your own! To make your own, simply find a large plastic bin that can be put on the floor or on a small child’s table. Gather some items from around the house such as plastic cups, spoons, bath toys, small rocks, plastic syringes (check with your pharmacy as many give them away for free – or you may have some around the house if your child has been given medication), marbles, spoons, funnel, strainer, plastic dolls/animals, etc. These items can be used in the water table. You can also work on the language skills I am about to discuss while your child is having a bath. Or, if you prefer, fill the sink with water. You can keep your preschooler safe while playing in the sink with the learning tower or kitchen helper rather than have her standing on a chair! Sit on the floor if you are using a bin on the floor, or grab a chair if you are at a table. Being at the same level as your child shows that you are interested in what he is doing. It also allows him to see your facial expressions and the movements of your mouth. And it is easier to make and maintain eye contact when all participants are at the same level, which is a very important social skill. Playing with water is a great way to introduce your preschooler to new vocabulary. Children usually enter the symbolic stage of play between the ages of 2.5 and 3. This means that they are able to use one object to represent another. For example, using a bowl as a boat. There are many adventures to go on during water play. If you have small plastic boats, use those, or pretend a cup or bowl is a boat. You could go on a fishing excursion or be pirates looking for sunken treasures. Add a squirt or 2 of soap to the water to create a layer of foam on top. That way you can’t see what has sunk to the bottom. Practice predicting what might be found when you reach to the bottom of the bin. Predict with your child which items will sink or float before putting them into the water. If your child is playing in the bathtub, give him some goggles so he can pretend to be a scuba diver. Throw in some plastic fish with a magnetic rod and pretend to be a fisherman. Find a doll that can go in the water and give the doll a bath. You can use real soap or pretend another item such as a block, for example, is a bar of soap. Your child will probably come up with scenarios that you hadn’t even thought of. Children start off playing on their own, but as they get older and into the preschool years they begin interacting with their peers. Water play is a great time for interacting with peers and adults. 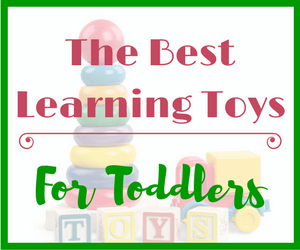 Children need to learn to take turns with the toys available if they would each like to play. Playing side by side but not necessarily focused on the same goal is called parallel play. As a child’s play skills evolve they will begin participating in co-operative or collaborative play where all children involved have the same end goal. For example, a small group of children, or a child with his parent(s) and sibling(s) may decide to pretend to be pirates looking for the sunken treasure. Everyone has a role and the goal is to find as much treasure as possible! ♦ Go with the flow – let your child lead and see where the water play will take you! There is no right or wrong way to play with water. 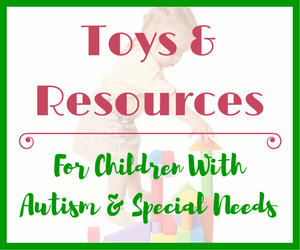 No matter what toys you use, it will be a great sensory and learning experience for your child. ♦ As there is no right or wrong way to play with water, children of all ages and abilities can play together. 2 children could be playing collaboratively while another child is doing his own thing. But they are all still playing together. ♦ If your child comes up with an unrealistic scenario (e.g. pretending to be at the farm) let her explore it. It will add to the fun and creativity of the experience. Perhaps there is an underwater farm where all of the animals are able to survive underwater. ♦ Try not to dominate the play or conversation. Sometimes us adults get things into our heads that we think are great ideas. However, our children may disagree. This goes back to following your child’s lead. Make sure you aren’t the one doing all of the talking. 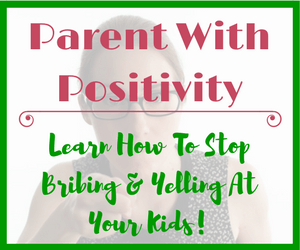 Even if your child isn’t saying much, wait and see if he will initiate conversation. Don’t worry. There are quite a few kids who don’t like water. Even getting splashed can be upsetting. Here are some things you can try that don’t involve being in the water or having buckets of water around. Gather up toys, ride on vehicles, bikes, and anything else you can think of. Put a bit of water into a small pail, throw in a sponge and let your child clean his toys! Find a small watering can or use a spray bottle and water the flowers and plants in the garden. Get a large paintbrush and a small pail of water. Let your child paint the fence with water. If you don’t have a fence find something else that she can “paint”. 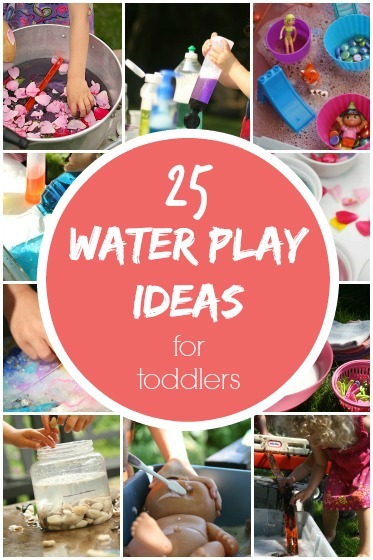 If you want to get really creative check out these 25 ideas for water play with preschoolers courtesy of Happy Hooligans! It’s easy to overlook the possible learning benefits of something so simple as water. But they are there! 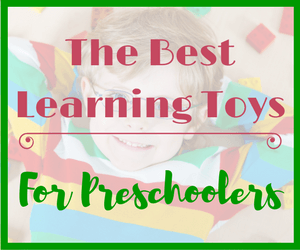 I hope that I have been able to show you that your preschooler does not need fancy toys that light up, talk, etc in order to learn! Does your child love the water or hate it? Share some stories in the comments below about how your child(ren) likes to play with water! 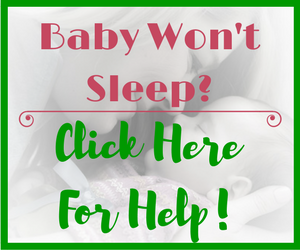 This article should be the article of the day for all parents who have preschoolers within their household. 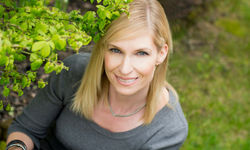 Early Childhood Tachers certainly would accept this great article with much gratitude. There are so many ways in which to teach preschoolers and toddlers alike, without them actually sitting at a desk with worksheets or flashcards. With the many areas that you have mentioned water as an active agent of teaching are you saying here that water is nowhere left behind? Water really is great isn’t it! Young children learn best through natural exploration – hands on learning – and water allows for that! I am not sure I understand your question. If you are asking about the mess factor of playing with water, then yes, it can get messy, especially when indoors. However, don’t let that deter you as the learning opportunities for kids that come out of playing with water outweigh the cleanup at the end. Plain water won’t stain clothes and can easily be wiped off the floor. But if it makes you really uncomfortable, save the water play for bath time while inside and focus on it outside when the weather is nice! This site is awesome! It reminds me of my childhood days when all I did was play. Now that I’m a father, I’m more interested in applying the tips you mentioned with my own children. I’m going to start trying to observe my daughter more and let her do most of the talking and of course, especially during bathing. I didn’t realize how important something as simple playing in water is for a child’s development! Great article and the design of your website is super playful and makes me want to check out more of your articles. Thanks! I’m happy to hear you life the site! I’m glad that I was able to show you how something as simple as playing with water can have a positive impact on skill development. You might be interested in the article I wrote about bath toys and how to use them to encourage language development! What a great article. We are in the process of building a sand/water table for my 11-month old’s birthday present. He has taken to spilling water out of his sippy cup and splashing it with his hands. I found the information about age differences in how children play very helpful. I do notice that my son plays by himself often and can’t wait for him to get a little older so he will interact with me in a more imaginative way. I am sure your son will love his sand/water table! It will probably be another year and a half to 2 years before you start seeing more interactive and imaginative play. But within the next 3-6 months he should start interacting with you more and copying what you are doing while playing! Great article Tanya, I wish more parents would turn off their TV’s, phones and computers and talk to their children more. I’m a infant/toddler teacher and I have found over the years that children are learning language at a lot slower pace than a few years ago. Soo,soo sad. You’re right, young children do seem to be taking longer learning language these days. Unfortunately babies and toddlers do not learn nearly as much from interactive toys and apps as they do from human interactions. Water play works great for potty training too! My company has created a potty training product called “The Potty Duck”. Children can practice and learn important words like potty, pee, toilet – then practice sitting on a real potty while the duck sits nearby on its potty. Thanks for your comment. I can definitely see the benefits of water play being tied in with potty training. You’re product sounds like it is great for motivation and learning. I will be sure to check it out! These are some of the best tips I have read on the internet! I had no idea water play can be this use full. What I especially like to get to see and learn is the way your child thinks by letting them take lead in the scenario. I think it is incredibly important to allow you child to use his or her imagination and not only that but motivate them by playing along! Thanks Theo! Water play is a great activity where you can follow your child’s lead. Like you said, it gives the parent the ability to peak into their child’s mind. It also allows the child to come up with their own ideas. But for those whose child isn’t that adventurous, I hope my tips will be helpful! What a great article. Our local children’s museum has a huge water table display set up that the children can play with. I thought for sure that my children would stay for maybe five minutes and then move on to something else. How complete wrong was I! My daughter stayed for an hour, putting balls in fountains and building “dams” and just about everything imaginable with all the toys they had to offer. I completely agree that every preschooler should engage in a little water play at some point in their lives! Momma Bear, our museum also has a water play area and my children were exactly like yours. Playing with the toys and building dams for at least an hour. What we as parents think is “boring” might be hours of fun for a child. This is why it is so important for parents to follow their child’s lead in play. We all have different interests so make sure that your child gets a chance to express theirs.